It is joy to offer thanks and praise! Holy God, Mighty Lord, Breather of Life, all creation reveals your glory and magnifies your love! When your Word created the heavens and the earth, you provided everything needful for health and happiness, and called creation into covenant with yourself. You divided night from day, waters from dry land. You planted a garden and trees; a river flowed out of Eden to water the garden. With bread from heaven and water from the rock you sustained the wanderers in the exodus desert. In the land of exile you charged your people to plant gardens and cultivate crops. You sent Jesus of Nazareth, born of Mary, to live as your presence among us. Holy are you, God of mercy, glory and love, and blessed is Jesus your son, who lived among us in a body made from stuff of the earth. and was raised from death for the life of the world. He ascended to reign in justice and righteousness over everything his Word created. Lord Jesus, come in glory! "This is my body, broken for you. Do this in remembrance of me." "This cup is the new covenant in my blood. Do this, as often as you drink it, in remembrance of me." 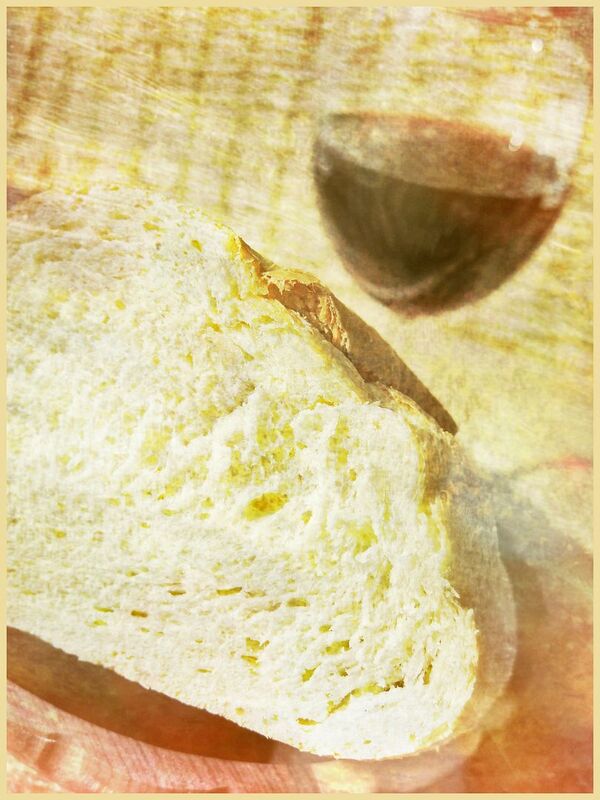 As often as we eat this bread and drink this cup, we proclaim the Lord's death until he comes again in glory. in the power of the Spirit we may daily live in covenant with all creation as the gracious presence of the crucified and risen Jesus Christ. Sept synchroblog: devils, demons, et al.